They look a little like blue petals attached to your feet, but they are actually Aqua Sphere’s AlphaFins! 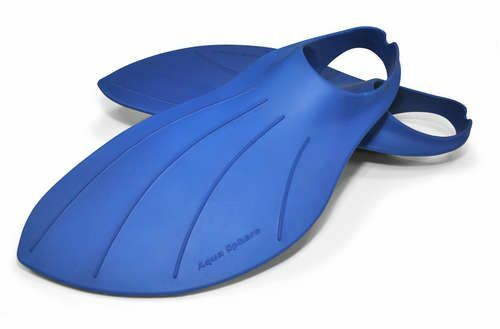 These unique looking swim fins are designed out of non-waterlogging EVA foam and are 70% lighter than the traditional swim training fin. The special shape of these fins allows them to work well with the breaststroke, crawl and butterfly and will give you a great core, leg and lower body workout.